Some of the best ingredients for gin making are found in some of the world’s most interesting places. The cradle of Sanction Gin was one of the world's oldest civilisations as the recipe began life in Tehran in 2016. It was created by a native of North East England who was in the country on his official business when he filled his suitcase Indiana Jones style with the best ingredients he could find. On this and subsequent visits, he ran the gauntlet of customs with exotic ingredients including Almonds from Iran, Angelica root from Russia, Cardamom from India and Cassia bark from Hong Kong. 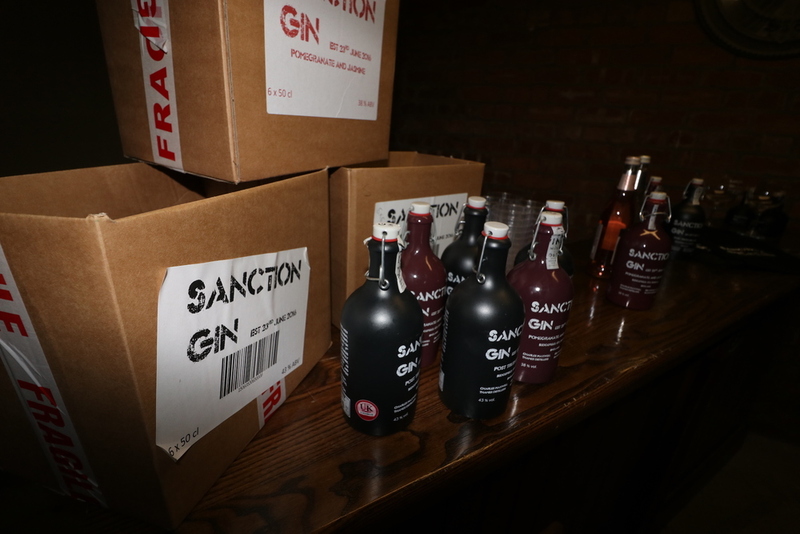 Consequently, Gin Without Borders was born as the parent of Sanction Gin. More botanicals were added from other world locations to create a gin recipe with the simple aim of highlighting the flavours of the world in an ultra-premium, ultra-intensive pure gin. The recipe was handed to 8th-generation master gin distiller Charles Maxwell of London who created the mature and long-lasting flavour of London Dry Sanction Gin. 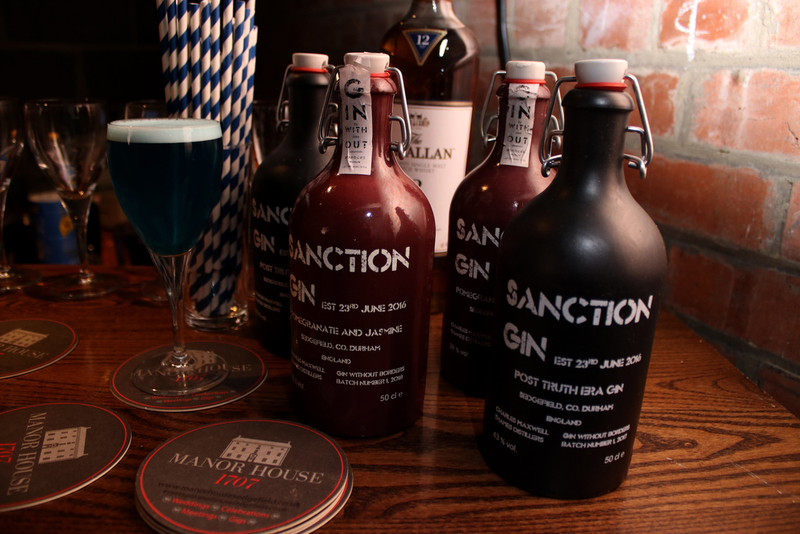 Sanction Gin is heavy and captivating on the nose, earthy and sweet on the palate. The citrus combine perfectly with the herbs and roots and yet, the cardamom find its way through without taking any special prominence over the other botanicals. 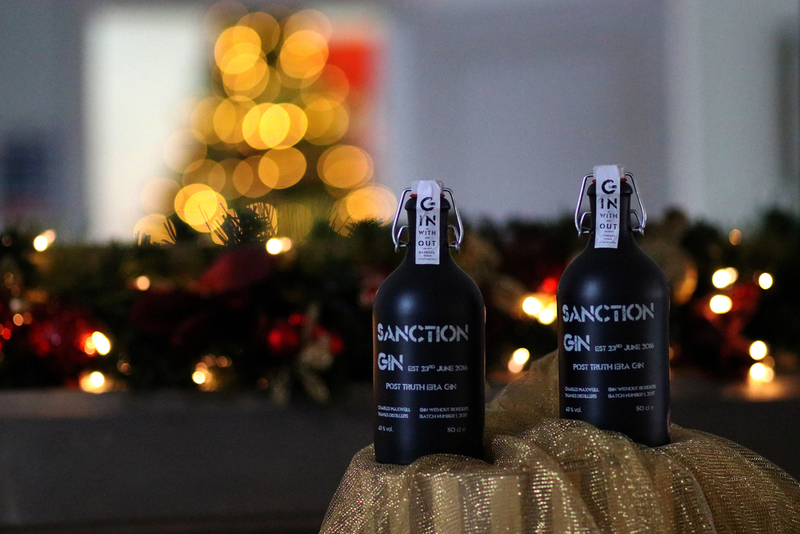 Gin Without Borders have created a very complex and mature flavour within Sanction Gin, delivering a full body on the mouth and a long aftertaste. 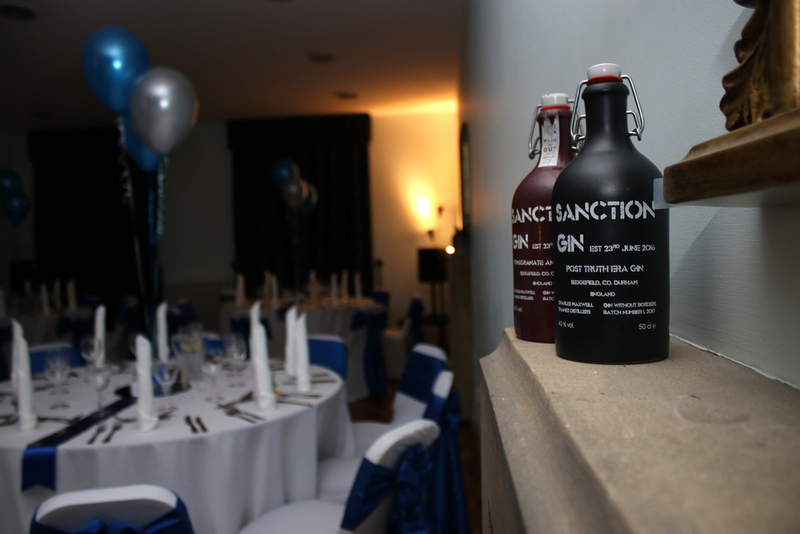 Gin Without Borders is based from The Manor House meaning that Sanction Gin is Sedgefield’s very own gin. Stocks of all flavours are kept in the Manor House cellars and are available by retail and wholesale. (Our Alcohol Wholesalers Registration Scheme number is AWAW 000 0011 1862).